There are several great ways to experience London’s River Thames as Londoners have done for centuries, it being the lifeblood of London. From merchants to monarchs, prisoners to travellers, it has carried the life of the city along its silver (or sometimes, not so silver) waters. 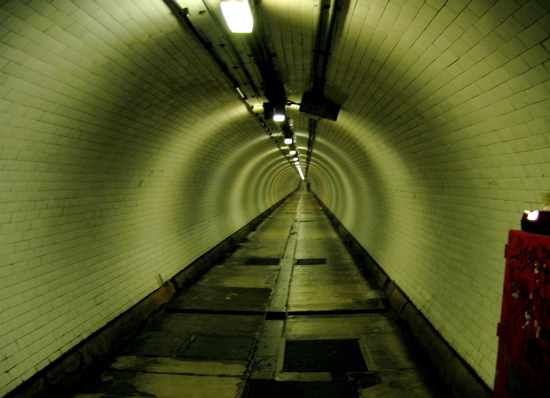 The Greenwich foot tunnel runs, as its name suggests, from Greenwich on the south bank of the river to Island Gardens on the north. Enter from either side under an imposing domed structure, and take the stairs or lift to the cool, tiled walkway beneath the river. On the north bank, you can enjoy the green space of Island Gardens with its spectacular view of Greenwich’s classical buildings, while emerging on the south bank will bring you to the beautifully restored Cutty Sark, the world’s only surviving tea clipper and the fastest ship of her time. Opened in 2012, the Thames cable car – officially known as the Emirates Air Line – crosses the river from Greenwich Peninsula in the south to the Royal Docks in the north. Carrying passengers 90 metres above the water with spectacular views down the river, a trip normally lasts around ten minutes, extended to twenty-five after dark to allow for more leisurely observation of the city by night. A walk along the Thames foreshore connects you to the history of London in a way that few experiences can touch. Descend the steps near St Paul’s cathedral and cast your eyes down onto the shingle beach. Old Father Thames gives up his treasures here every day with the rise and fall of the waters, and all manner of objects have been found by those indulging in the centuries-old pursuit of “mudlarking”. By far the most common are portions of clay smoking pipes, dating back as far as the sixteenth century. Just be sure to check out the tide times, don’t go digging without a licence (there are treasures enough on the surface) and if you’re lucky enough to find anything of archaeological significance, be sure to report it to the Museum of London. Installed at Trinity Buoy Wharf in 2010, the Time and Tide Bell is one of five across the United Kingdom created by sculptor Marcus Vergette. Three metres across, the bell is rung by the river itself at each high tide, its unique shape meaning that just one strike creates a rich melody of different notes. Not the easiest location in London to reach – it’s a ten minute walk from the nearest station, either Canning Town or East India, neither of which are on the main tourist drag – Trinity Buoy rewards those willing to make the effort with a real feel of old London. Whilst there, why not visit London’s only remaining lighthouse and listen to the Tibetan singing bowls installed in its former lamp room, designed to play without repetition for a thousand years. The Thames has a range of moored boats now converted into London pubs, restaurants and clubs. The Tattershall Castle is one of the original and best, reasonably priced and offering wonderful views of the Houses of Parliament and the London Eye. And of course, for those with sturdy sea legs, there are multiple cruises offering food, drinks and dancing through the day and night. Energetic visitors should check out WakeUp Docklands in the sheltered waters of East London’s Royal Victoria Dock. Home to a host of watersports including stand-up paddleboarding, SUP yoga and cable wakeboarding, in which riders use cables to help get to their feet as they surf the waves on a wakeboard. There’s also a fully licensed bar, The Shack, offering a waterside vantage point for those who prefer to keep their feet on dry land. You no longer need to be lucky enough to own your own houseboat to get a good night’s sleep on the river. Opened in 2014, the glamorous Sunborn London is a floating super-yacht hotel offering guests views of Canary Wharf from its mooring next to the ExCel exhibition centre. Its interiors reflect the luxury liners of old, with marble floors, polished wood and chandeliers, and for those looking for the ultimate experience, the Executive Suite in the bow of the ship has its own sauna, Jacuzzi and balcony. One of the largest movable flood barriers in the world, the Thames Barrier has been protecting London from the sea since 1982. Each of its ten gates weighs an enormous 3,300 tonnes and with their stainless steel shells they make for an arresting sight. Plan ahead if you want to see it in operation – it is tested once a month and details are published at www.gov.uk/guidance/the-thames-barrier – or visit at sunset and take your camera; the views are breath-taking. Once too polluted for anything to live in it, these days the Thames plays host to a wide range of aquatic life. A ten-year study by the Zoological Society of London, published in 2015, recorded an astonishing 2,732 sightings of seals, porpoises, dolphins and even whales. The area around Canary Wharf was a particular hotspot, probably a result of the excellent vantage points provided by its high-rise office blocks. Head up high and take your binoculars; or for a more reliable view and a wider variety of critters, simply head for the south bank and the London Aquarium. No list of experiences on the Thames would be complete without the simple pleasure of a sightseeing cruise. 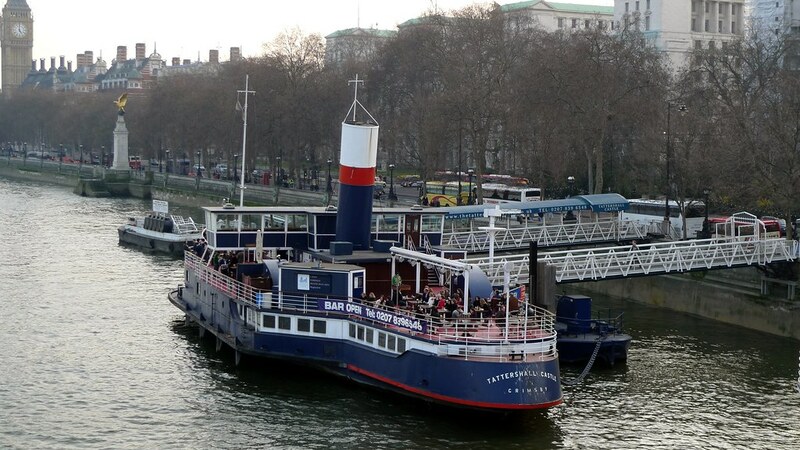 Book with one of the numerous tour boat companies that will sail you up and down the river, or simply hop on board a Thames Clipper – Transport for London’s regular water taxi – whose enterprising captains frequently offer commentary on the historic sites you will pass. Most cruises cover the eastern stretch of the river, as far as Greenwich or the Thames Barrier; but when the tide is high enough the western stretch makes for a scenic and leisurely journey to Kew Gardens, Richmond or even Hampton Court Palace.